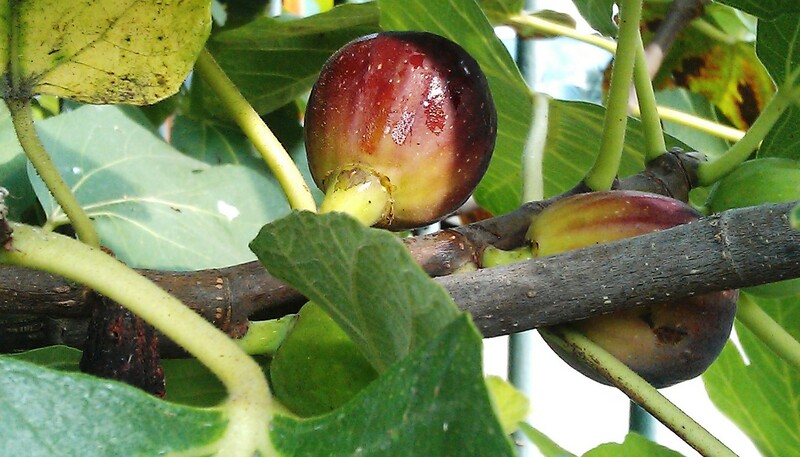 I was lucky enough to be given some fresh figs from my neighbour’s garden so I made these one evening for a starter…..
Make sure the figs are clean – I usually wipe them with a damp piece of kitchen paper. Slice each one in half, leaving the stalk intact and drizzle each half with some truffle oil – about ¼ tsp on each half – or more if you love the taste of truffles! 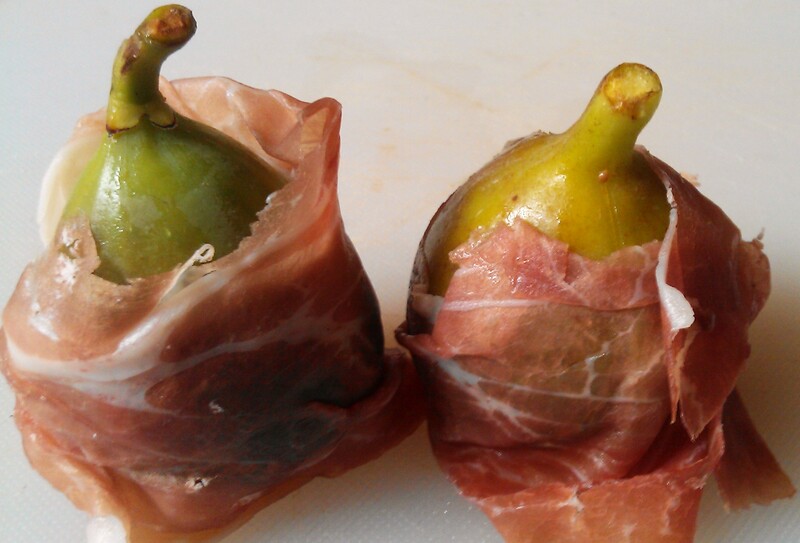 Put the fig halves together, take a slice of prosciutto and wrap around the fig, leaving the stalk free. 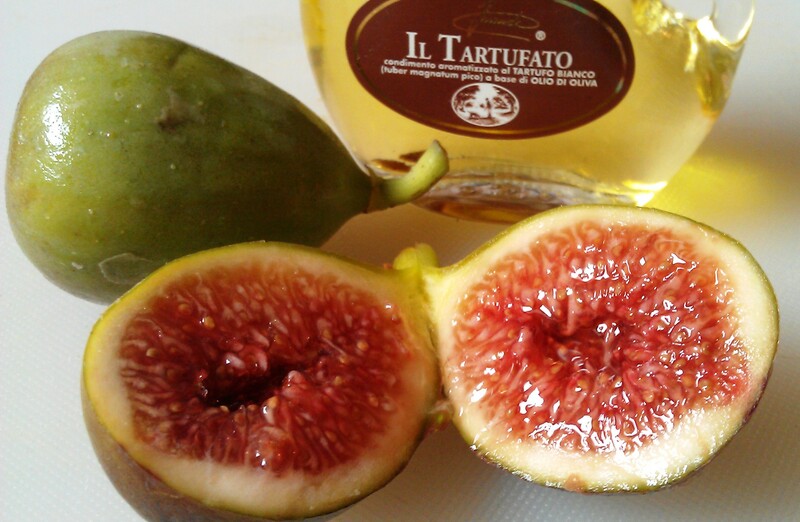 Repeat with the rest of the slices and figs. 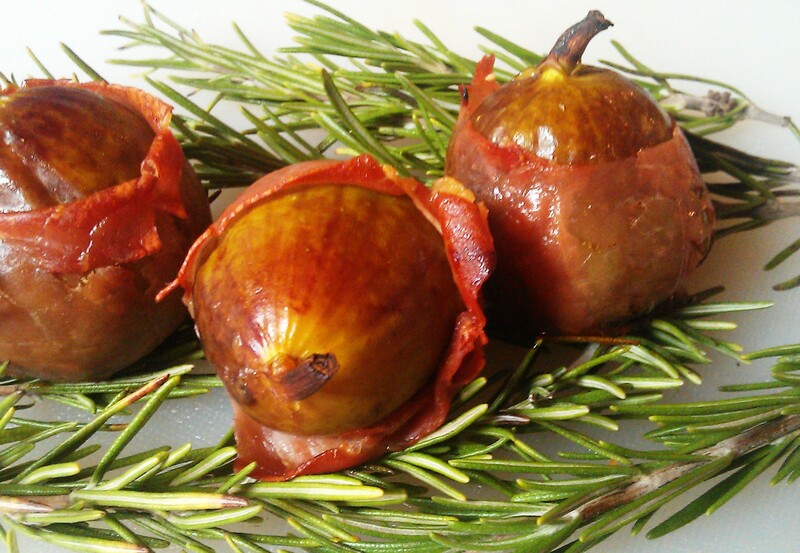 Place the wrapped figs on a baking sheet and scatter with some rosemary sprigs. Cook for about 10-15 minutes, until the prosciutto is looking crisp and brown. 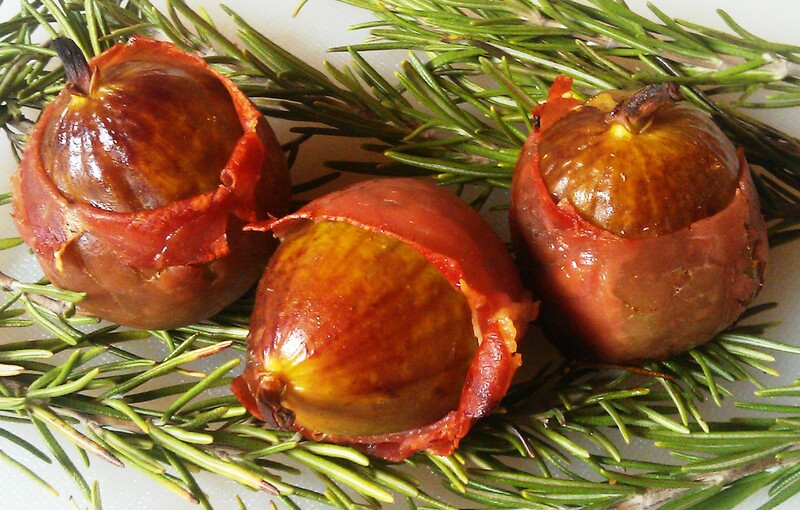 Remove from the oven, arrange the rolls on a bed of fresh rosemary and serve immediately.